Hollywood can be a tough town. Many people struggle for decades to catch a break, but one veteran star of the silver screen is finally getting the recognition she deserves. Organized by the American Humane Society, the awards show honored the year’s best animal actors, with prizes being handed out to the animals in Wild, Into the Woods, and The Interview. However, dressed in a stunning floor-length pink gown complete with a classic pearl necklace, it was Crystal who stole the show. 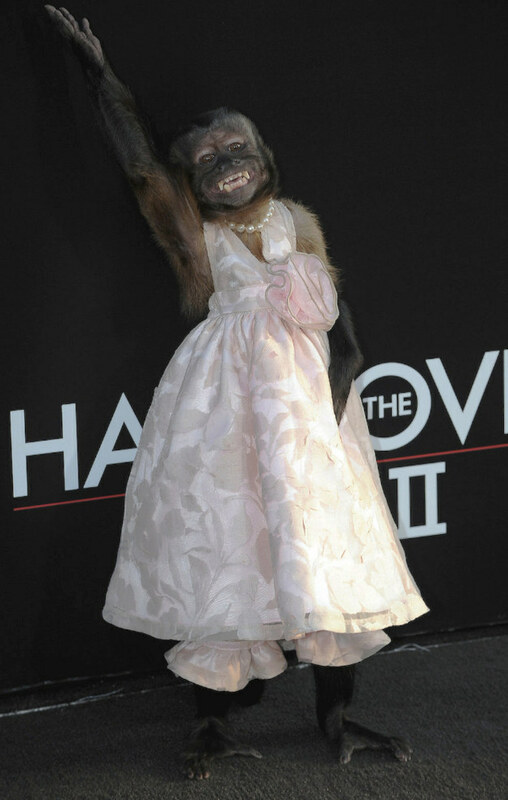 The primate prima donna has been acting for over 18 years, appearing in the films Night At The Museum and The Hangover: Part 2, as well as television shows like Community and Malcolm In The Middle. She even has her own extensive IMDB page. 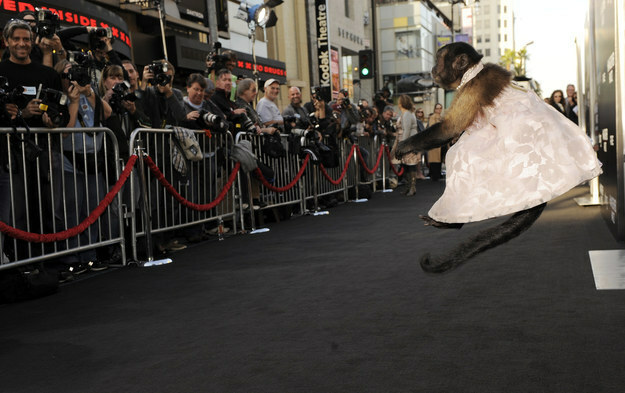 “She is a simian star of the silver screen,” said host Lou Wegner. 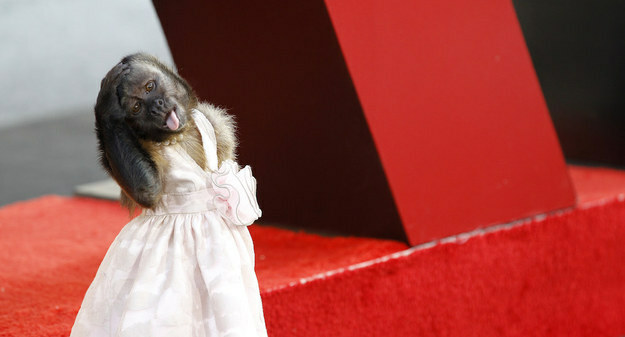 Just look how she werks it on the red carpet.